The amazing Isaac Asimov is off and running again, this time on peregrinations mathematical and numerical. 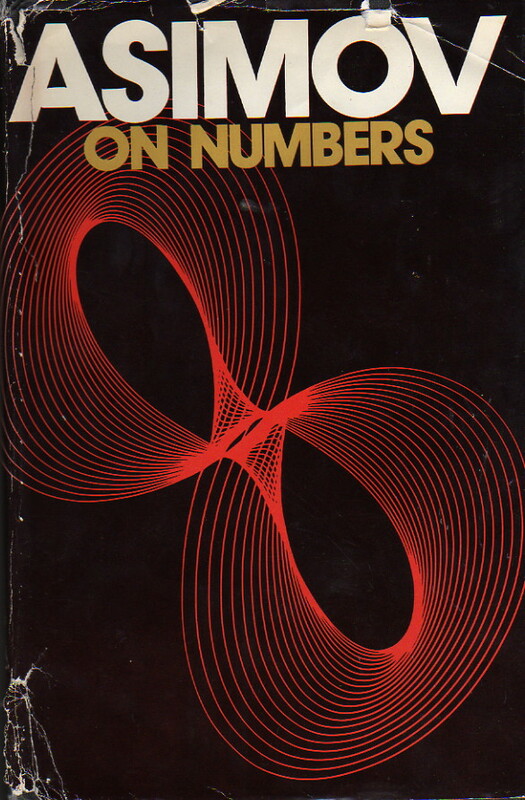 In these seventeen previously out-of-print essays, he supplies us with all sorts of information about numbers, from the elementary to the esoteric and surprising, all in a thoroughly accessible manner. Here is Asimov at his most engaging, explaining why computers and people can’t use the same numbers system; pointing out hte easiest way to calculate decimal places; discussing googols and T-formations, some of the biggest numbers in the world; and examining our concept of time and why it’s structured the way it is. He even manages to give us some background on the history of mathematics and its greatest geniuses. Complete with up-to-date photographs and footnotes, it all adds up to fascinating entertainment for anyone interested in numbers. This is probably my favorite of the four “Asimov on” collections which started with Asimov on Astronomy, because it’s the one with the math essays. On the whole, the essays stand up well even after all these years—mathematics doesn’t progress in the same fashion as the other sciences, so that material doesn’t get antiquated quite as easily. To be sure, mathematical records have been broken like crazy over the last thirty years, as more and more digits of π are calculated, higher primes are discovered, and so on—but the content itself holds up well and is a lot of fun.